Most people relate fall foliage and the “changing of the leaves” to the eastern portion of the United States. However, portions of Texas actually see dramatic changes in foliage coloration as fall draws near. Although areas in East and Central Texas have changing foliage during fall, Lost Maples State Natural Area in the Texas Hill Country has the most vivid fall leaf coloration in the state. 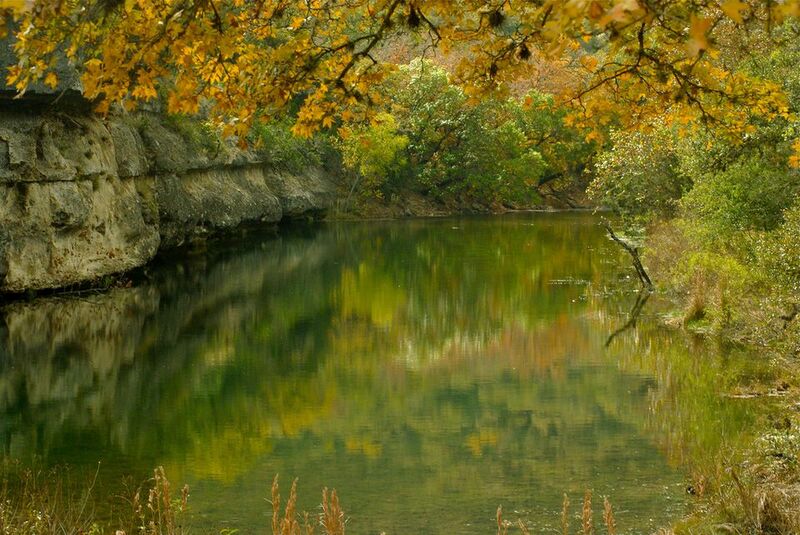 Lost Maples, which was opened to the public in 1979, encompasses over 2,000 acres on the Sabinal River and draws over 200,000 visitors annually. Part of Lost Maples appeal is their year round outdoor recreational opportunities, which include hiking, birding, fishing, paddle sports, and mountain climbing. However, Lost Maples’ biggest draw is the changing of the leaves each fall. Lost Maples' dramatic fall foliage is attributed to the high concentration of maple trees within the area. While maples can be found in a variety of areas in Texas, few dense concentrations exist, hence the name – Lost Maples. The changing of the leaves typically lasts from three to four weeks. Although the leaves are most often at their peak from late October through mid-November, anyone interested in witnessing them first hand should make plans to do so now. The park becomes extremely crowded and it is not uncommon for it to reach visitor capacity during that time frame. During October and November, Texas Parks and Wildlife issues a Lost Maples Fall Foilage Report. This helps individuals to monitor the changes occurring within the area. There are a variety of lodging options available near Lost Maples. However, these, too, fill rapidly during the peak season, so advance reservations are usually necessary.